Open concept floor plan, on a corner lot in a great neighborhood! Move-in ready! 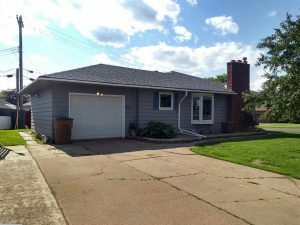 5 BR / 2 BA / 1 stall attached garage / Finished basement with family room & 2 bedrooms (with egress) / Enclosed screen porch / New shingles in June 2018 / New exterior paint in 2018 / New stove & oven in 2017 / New furnace and A/C in 2016 / Remodeled basement bathroom in 2013. Come see this excellent family home today!